Four new Mobile Operating Systems stole the show at the latest Mobile World Congress, all set to bring in more features and dimension to your phone. 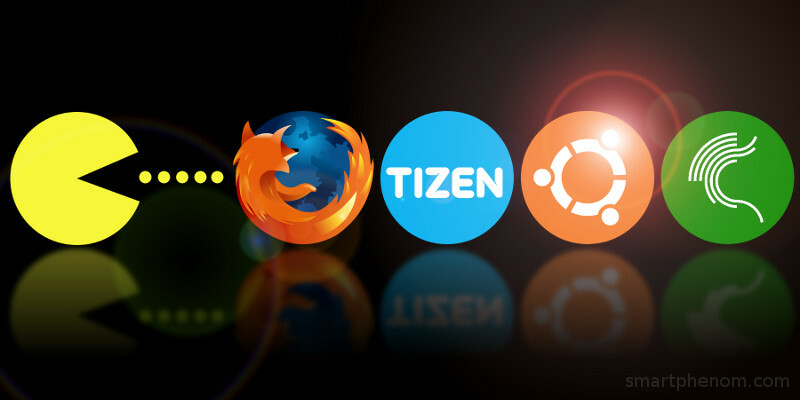 Firefox, Ubuntu Touch, Tizen and Sailfish are presently still in the development stages and attaining final touches before becoming available on devices called feature phones. These new Operating Systems however will probably not surface till the second half of this year. These new Operating Systems are not yet out to take on high end smartphones from Apple, Samsung and Sony but instead are made to suit cheaper phones and budget devices. For numerous reasons, they will also bring users more control over their content which is quite the opposite seen in current high end smartphones. This move will benefit their respective developers as it allows for trial, error and refinement. Carriers will first address the lower end of the market with a Mozilla Firefox phone because they don't want to be as reliant on Google, and Mozilla will give them more space to customise and push their own service and applications to consumers. Roberta Cozza went on to say that she expects Mozilla's Firefox OS will emerge as the most successful Operating System of the new releases set out to come. 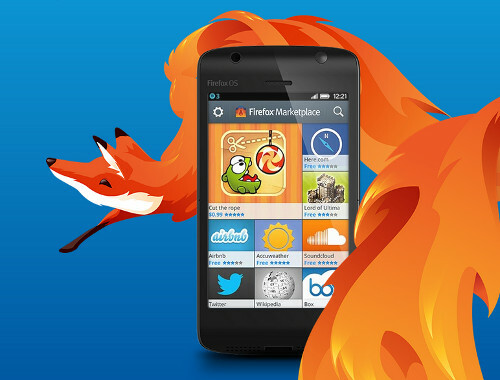 Whatever be the real outcome, Mozilla Firefox OS does have a widely known name and fame to live up to and can even rely on its consumer base already using Mozilla Firefox web browser. They will start in emerging markets but I wouldn't be surprised if we see them in Western Europe like we've seen with the (Nokia) Asha devices. Going by this source, an affirmation of the news is seen in plans of ZTE to target emerging markets of South America and Western Europe. Even Alcatel’s latest launch which will also run the Firefox Operating System is also making emergent markets the target of its launch. Although Firefox was first previewed at the Mobile World Congress last month, it was actually showcased a year ago at the same event, using the codename Boot to Gecko. A year since then, Mozilla now promises that the Operating System will be ready to load, in only a few weeks, and will formally arrive at the end of 2013. At first Mozilla intends to run its Firefox Operating System on low-end devices using processors of 1GHz or less, but the Company claims that the Operating System will after a while be enhanced to be capable to take on more powerful and high end devices. Mozilla however said that this transitioning will take place only later, and that for now the Company is solely focused on low end phones, mainly from ZTE and Alcatel. Cozza is more than optimistic about Mozilla being able to succeed in bringing out an all rounded Operating System, and is also confident that the move to target emerging markets is a good one. It's going to be very hard to gain market share. Altogether these other operating systems (Firefox, Sailfish, Ubuntu, Tizen) will have a single digit share of the smartphone market by the end of this year. I don't think it's going to be higher than one percent, so I think it's going to be very, very challenging. Overall, with these platforms...I remain sceptical. In a market with solid, established platforms such as Windows Phone attempting to challenge leaders such as iOS and Android it's hard to see these smaller players with little ecosystem and few services and apps presenting a real threat. Even in those (emerging) markets there are established alternatives with Android. While Firefox is concentrating on emerging markets, Jolla's Sailfish OS goes the other way, and is after high end smartphones. Jolla has recovered from all the harsh criticism and from the failure of the Nokia MeeGo Operating System. The company said that it intends to go after expensive smartphones and its primary focus being Asian markets, more particularly China. Tizen, which is an open-source OS co-developed by The Linux Foundation and Intel, is made up of Linux kernel and WebKit runtime. At present Tizen is not being used in production, but Samsung has vowed to launch several smartphones in 2013 featuring this Operating System. Tizen has also managed to garner strong backing from French network Orange, from Chinese mobile manufacturer Huawei and also from Japanese carrier NTT Docomo. Tizen will have its application store open and running later this year and particulars of this plan will come forth at the Tizen developer conference in May. New, competitive Tizen devices will be launched within this year and will keep expanding the line-up depending on market conditions. Although Tizen has pretty much to prove, with the backing of Samsung and Intel, Tizen has got a good launching pad, and creditworthiness to play on and take further. Now Ubuntu, another news maker, which has been in development for over a year now and which is based on Canonical's Linux-based desktop equivalent also uses open source software, and is already a popular choice with engineers. Being open source, the operating System will be not very restrictive like iOS and Windows. There is no word of partnerships with handset manufacturers or mobile networks as yet, but a preview of the Operating System is already available for download and can be run on some Nexus smart phones. We expect Ubuntu to be popular in the enterprise market, enabling customers to provision a single, secure device for all PC, thin client (a computer which depends heavily on another device to work) and phone functions. Ubuntu is already the most widely used Linux enterprise desktop, with customers in a wide range of sectors focused on security, cost and manageability. 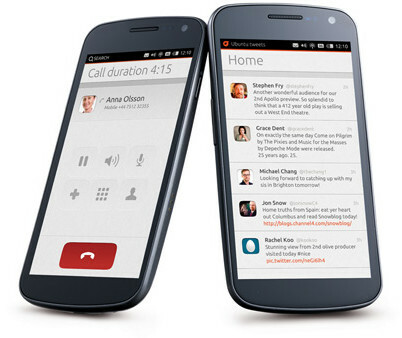 We also see an opportunity in basic smartphones that are used for the phone, SMS, web and email, where Ubuntu outperforms thanks to its native core apps and stylish presentation. Author: This was posted by Julia. Her passion for upgrading her knowledge puts her to research on topics relevant to her industry. Besides, she also likes to share her findings by writing about them in her free time. Also have a look on the top 10 android mobiles in India.